London developer Quintain has announced details of Europe’s first multi-storey coach-parking complex. 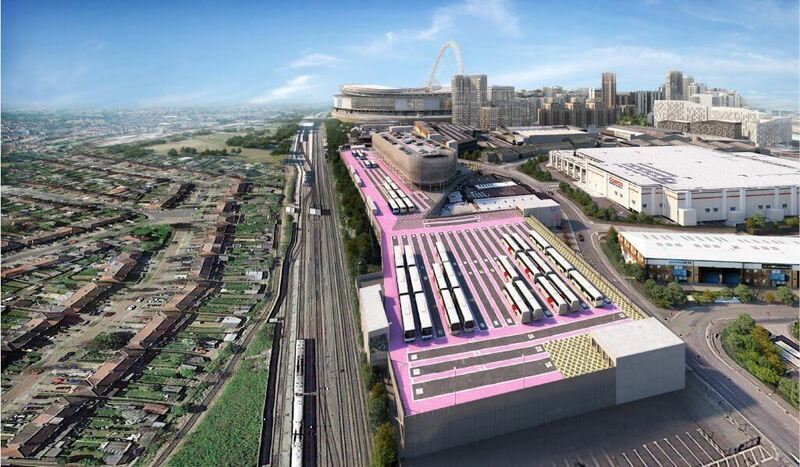 The £41m development is to be built on plot SE01 – located in the south east end of the Wembley Park development – and two storeys will be dedicated to housing 290 coaches. Above the coach park, a five-storey car park will be built with 734 spaces. German car park design and build specialists Huber have been awarded the contract to construct the facility, and will work alongside the O’Keefe Group to deliver the project. O’Keefe has now completed the groundworks (a contract worth £13m), leaving Huber to fulfil its £28m contract to lead the above-ground construction to complete the project. At full capacity, the complex will be able to accommodate 16,500 visitors and over 1,000 vehicles, providing welcome parking infrastructure for those visiting Wembley Stadium, the nearby SSE Arena and the surrounding 85-acre Wembley Park development. Both levels of the coach park will have an individual entrance, and vehicles will be organised according to length, height and weight. Matt Voyce, Executive Director (Construction) at Quintain, said: “We are very proud to be able to bring forward such a unique and innovative project at Wembley Park. Markus Lauble, Managing Director of Huber, added: “Huber Car Park System is a multi-storey car park design and build contractor. “This is a unique project within our portfolio and we are delighted to have developed it in very close cooperation with Quintain. Once the parking complex is completed, the operational management of the space will be handled internally by the Wembley Park estates team and will include a bespoke vehicle management and movements plan to ensure smooth parking placements within the structure. The architectural design of the parking complex was undertaken by Potter Church and Holmes and the project is expected to complete in autumn 2019.